As summer comes to a close, it is time to take the family out to have some fun. This is the perfect time of year to take the afternoon off work and spend it with your family and friends at a fair or festival. Good thing there are a few events starting in August that might pique your interest! 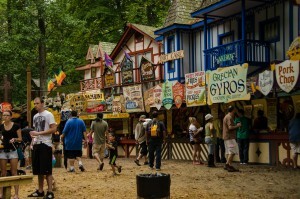 The 30th Annual Maryland Renaissance Festival starts the weekend of August 29 and continues each weekend through October 25. Travel back in time and enjoy the 16th-century medieval festivities of arts and crafts, music, jousting matches, food, and more. Make this trip to Annapolis one to remember! 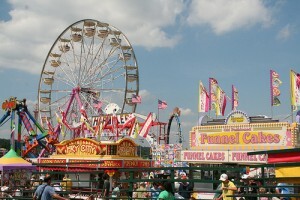 The 134th Annual Maryland State Fair is starting August 28 and runs through September 7 at the Maryland State Fairgrounds. Spend some time walking around to the different attractions as well as eating great food, riding rides, and playing games. There is something to do for all ages! Make sure to enjoy the last few weeks of summer before the kids go back to school! And as always, stop by the 1840s Carrollton Inn for a relaxing stay after a busy day!